Father of 'price tag' suspect writes Chief Rabbis following reports of serious abuse of youths, including Shabbat desecration. The father of a youth arrested by the Israel Security Agency (ISA or Shin Bet) on suspicion of "price tag" vandalism sent a letter to the Chief Rabbis of Israel on Friday morning, asking them to protect his son from being forced to desecrate the Shabbat. The youth was prevented from seeing an attorney for ten days, an increasingly common tactic that has aroused protest. On Thursday he was allowed to see Attorney Yossi Lin, who will represent him on behalf of the Honenu legal aid organization. "To our amazement, it was made known to us yesterday from a first-hand source that a youth who was recently arrested in similar investigations in the same place was interrogated on Shabbat, in a desecration of the Shabbat," the father wrote in the letter to Chief Ashkenazic Rabbi David Lau and Chief Sephardic Rabbi Yitzhak Yosef. "If there a case of 'pikuah nefesh' in investigating these youths on Shabbat?" asked the father, referencing the Jewish principle of saving a life that defers religious observance in most cases. 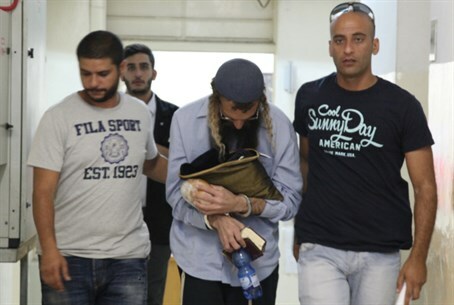 Honenu related that another "price tag" suspect who was released this week after ten days of investigations at the Shin Bet facility underwent "serious abuse" by the investigators every day, including on Shabbat. "We were informed that in one of the investigations, a Shin Bet investigator choked the youth, and in another investigation he fainted after the investigator screamed directly in his ear after he dozed off due to the harsh physical conditions," said Honenu. In his letter, the father turned to the Chief Rabbis "in a request for help. No one will listen to us. In light of your important position, there's a high likelihood that your request would be considered. Please get involved with the relevant sources so that our son won't be forced to desecrate the Sabbath." "We write this letter in great sadness and shame that in the state of Israel, the state of the Jews, Torah and mitzvah (commandment) observant Jews need to make such great efforts so that their son jailed by Shin Bet will be able to observe the Shabbat," concluded the father. There have been numerous reports of abuse in the recent spate of "price tag" arrests. A couple from Yitzhar in Samaria were arrested in late April over suspicion that their car was involved in a "price tag" vandalism, and reported that they were refused access to a lawyer. They also alleged that investigators told them "you'll never see your children again." In one case two weeks ago, a woman was detained after the arrest of her teenage son allegedly went nowhere. Her son had been detained the previous week after he and another youth were found with markers and nails in their bags. Meanwhile an Arutz Sheva report in January revealed that in at least some of the cases, anti-Arab "price tags" were being systematically staged by Arab activists. There have also been numerous incidents of Arab "price tagging", including on the graves of Tannaic scholars in the north and swastikas scrawled on Israeli flags in the heart of Jerusalem, both on the same week as Independence Day. Such incidents receive notably less, if any, media attention.